Now’s the time to take advantage of the rich pink hues found in the spring. Pink is a passionate color and a great attention-grabber. Pink can signify good health and sweetness and innocence. In color psychology pink symbolizes hope. So let’s add a little “hope” to our documents with pink. 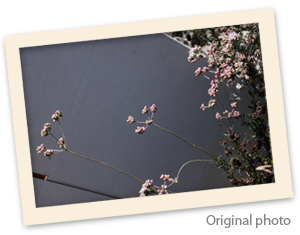 For this newsletter sample, we simply photographed wildflowers found growing on the side of a road. Then we outlined and knocked out the intricate spaces created by the shapes of the flowers and the brush. Several hours of handiwork in Adobe Photoshop are need to effectively remove the background. For the headline we used an elegant type typestyle, Zapfino, available from Linotype. We then used the eyedropper tool to extract a color swatch of the pink from one of the flowers. We used this color as the background behind the body test. Next, we wrapped the body text around the flowers and carved out a shape at the top of the pink box to provide more visual interest. 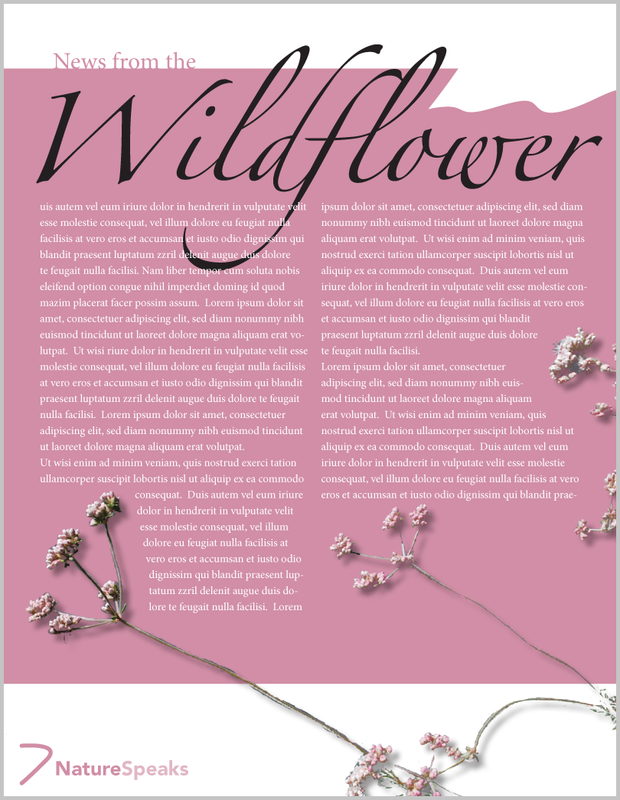 Pink is a great color to use for newsletters when you need to grab attention or to help sweeten up a topic. You can add darker colors such as rich blues or brown tones to pink to help make the layout look more serious and sophisticated. Perk up you newsletter designs with pink. People will notice. This entry was posted in Newsletters and tagged Adobe Photoshop, Color, Pink, style, Zapfino by Successful Corporate Communications. Bookmark the permalink.